Frocks in progress and an apron completed. Though none of them well-photographed. The sun was shining, but not in my windows. The wedding dress is a sample for my portfolio ready for a launch of a limited range of wedding stuff in June (or maybe July). I’ve recently taken the plunge and registered as a supplier on Ethical Weddings and have already been getting attention. There is a lot of interest in making weddings greener, and I’m keen to be part of that. 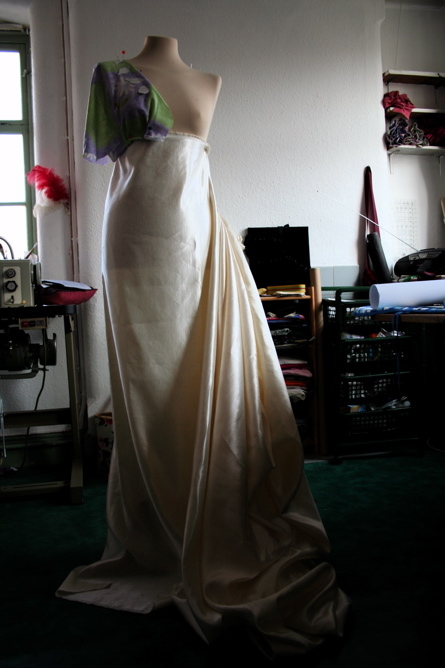 I’ve been asked for a dress to go in a magazine photo shoot, hence this one taking shape. 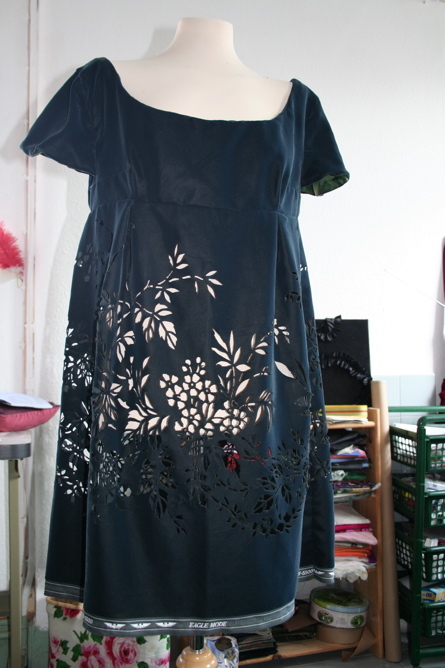 In the odd moment, I’ve been making up this velvet dress for myself, though by the time it’s finished, it will probably be too hot for a velvet dress, even one as holey as this! The fabric is an amazing lazer-cut synthetic velvet I was given by a friend in Switzerland, where they make some fantastic stuff. 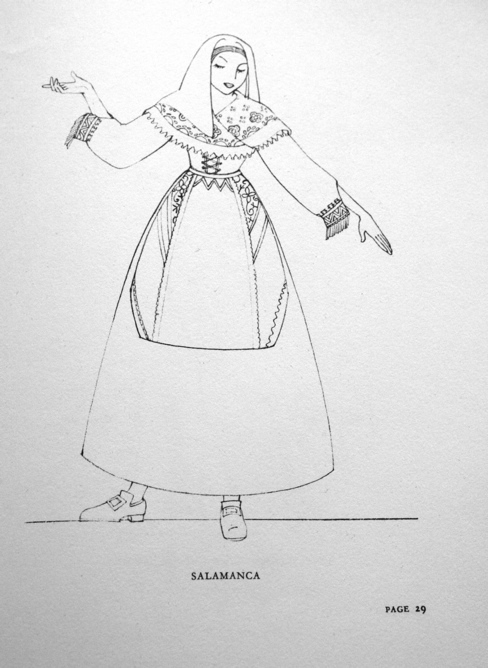 It’s a short tunic style to be worn over trousers or a skirt, though I may line it as well. All I have to do is sew in the zip, hem it and sew down the linings inside, so perhaps I should bring it home to complete in front of a dvd. Last but not least is an apron, for Tie One On, the apron show and tell. 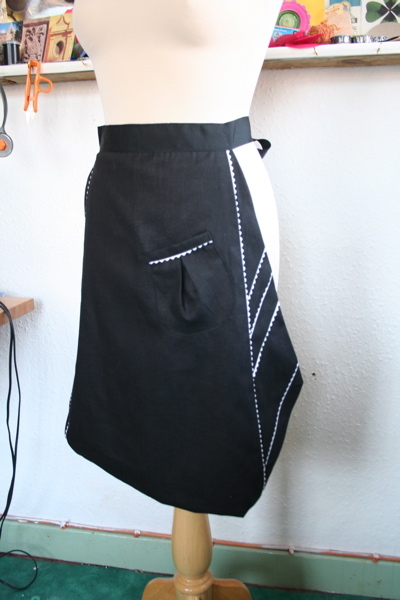 I do love making aprons like this one, this one, this one, this one and this one. The theme for this challenge was to use ric-rac braid. 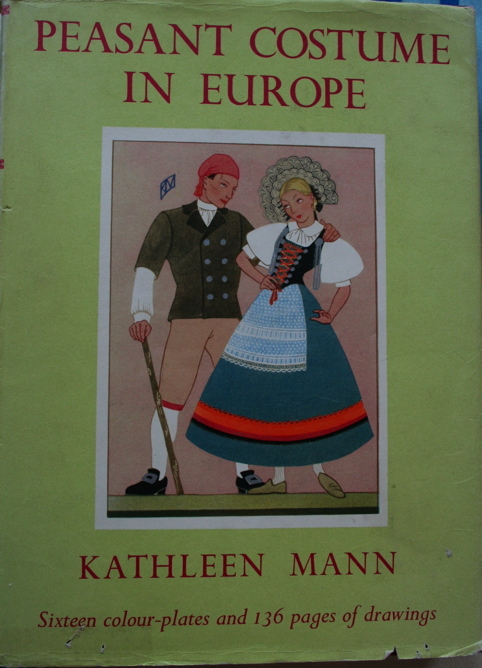 As usual I had mad ideas that would have taken weeks to complete, but this compromise was inspired by a drawing in this great new (second-hand) book I bought last week. And yes, that’s my unglamorous studio in these shots. « The Cushions are Coming! Both the dress and the apron are amazing. I love the diagonals on the apron and it was great to see your inspiration. 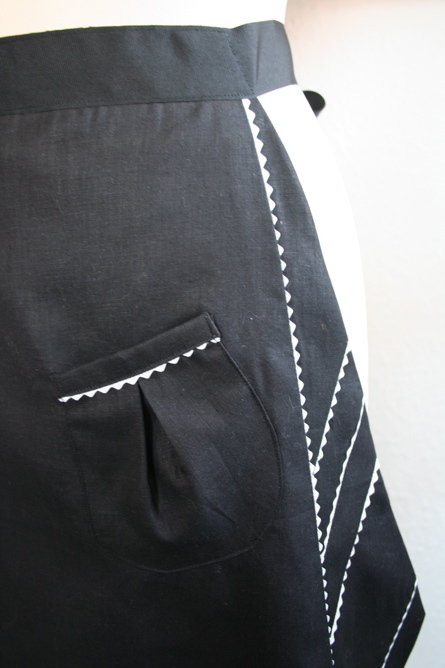 Your apron is wonderful – almost a 1940s futuristic look(?) Love the velvet dress as well. It looks like it could be a versatile and beautiful addition to the wardrobe.